I have returned to Mount Shasta after two weeks of Gatekeeping in Joshua Tree, the Mohave and Sedona. It is stunning to see the effects of heavy precipitation on California and the desert. Perhaps the December vision of sending plasma into the skies along the Pacific Coast has come to fruition; significant healing is taking place, and the elementals are reflecting the larger operation unfolding. Purification, Divinitization, Pure Consciousness. Thank you to everyone denying the programs aimed at creating doom and gloom. Thank you for calmly, peacefully creating the un-veiling of the Ascension experience, moment by moment. We Love You, We Bless You, We Thank You. Kindwhile, I have noticed the amplifications during our SUNday Unity meditations. Unified meditations have always provided significant visions and sensations for me, and now our Tribe is reporting similar (if not identical) visions during these meditations. Last week a brilliant shift in Gaia’s crystalline tube torus core presented in the second session for many Lightworkers. In the third session, Solaris (the SUN) and the Great Central SUN visited our visions, reflecting the recent Gatekeeper visions of great Solar bursts that were common in January. Personally, I AM still experiencing the intense vibrant light through my Ascension column in meditation (2 years now, and it continues to amplify.) During our Unity meditations it becomes even more vibrant, and is paired with that gorgeous bliss-gasm sensation that many meditators experience. 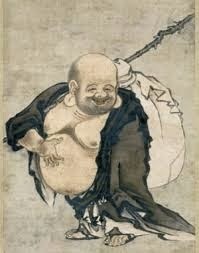 Plus a new level of the stillness, characteristic of deep internal peace. This is a precursor to the final merge of the Ascension experience. My friends and co-creators notice it in my fields; something new is unfolding in the process. Gatekeepers and Gridworkers anchor these experiences into the HUman collective consciousness, so that the Global experience may step forth with ease and grace. It assists to dispel the fear of Ascension (still an issue with many.) As always, we aim to show HUmanity what is possible with Ascension. I also had a visit to the Solar Center HQ and Gaia is aligned to receive a dramatic influx of light. This may occur as early as this month, during our February Gateway (February 22-25). We are still monitoring the collective emotional level, as current external events continue to pull Creator-in-carnate (HUmans) into creating timelines that technically cannot exist in this new level of light. Major changes are on the table and your Wayshowers are holding space for the highest intent to step forth. – Say/think So It Is after every word, thought, action and intention to identify what you are creating, and what you are amplifying for the collective. – Once you are aware of your creator habits, you may choose to change them. – Halt thoughts. actions, words and intentions mid-stream and redirect them toward positive outcomes. – It takes practice. It also identifies where you need uncomplimentary emotional and belief clearing. – Until you Master Divine Neutrality, use Commands, Decrees, Mantras, Prayers or Positive affirmations to retrain your neural pathways as the So It Is reveals your old patterns. These are basic to the Ascension process, because they work. This is a very powerful passage for HUmanity as the Division of Worlds unfolds. Please remember that as old systems break apart, your focus must stay on the higher experience, the highest outcomes. The accelerated timelines are vibrating, shifting all timelines, dissolving the lower vibrational timelines – and it is still up to the High-Vibe Tribe to stabilize the higher timeline experiences for all. Embrace your Wayshower Self and do the good work, right now. The more Hearts participating, the greater the effect. 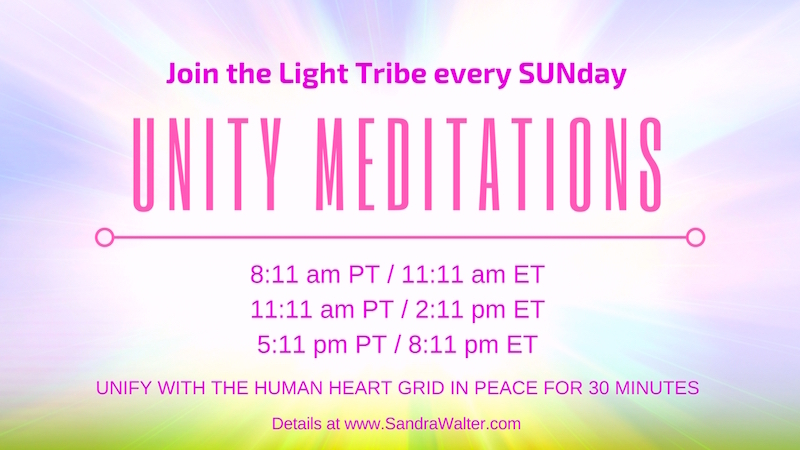 8:11am Pacific Time, 11:11 am PT, and 5:11pm PT or meditate anytime on SUNday to feel the effects and add your energy to this collective intention of service. Connect with the HUman Heart Grid, Gaia’s crystalline core, the Crystalline Grid, the New Grid systems, Solaris (the SUN), Great Central Sun, and Source. Meditate in stillness, focus on Pure Source embodiment and Global Peace, or use the guided Christ Light Activation meditation for expansion (many are having amazing results with this – free on youtube or mp3 via the download link below). Gatekeepers, Gridworkers and Lightworkers: We continue to focus on activating the Solar aspects of the Grids, the ancient Solar temples, and the Gateways connected to Solaris and the great Central Sun. Work through your own Solar Heart Center for maximum activation. Let us unite our collective intentions for peace, harmony and walking through this acceleration with ease and grace. This guided meditation is also available with beautiful visuals on YouTube HERE. Your support for this work is welcome. Thank you for a gratitude donation today.